How much is six seconds worth of your time? Many would say not much, but in the eyes of a marketer, six seconds is all you need to make an impact. Need proof? Microsoft found that the average human attention span in 2013 was 8 seconds. That means humans have a shorter attention span than goldfish at an average of 9 seconds. Instead of trying to force longer attention spans, marketers have learned to instead adapt and create messages that can capture attention within just six seconds. An example of an advertising unit that capitalizes on shorter attention spans is the YouTube bumper ad. 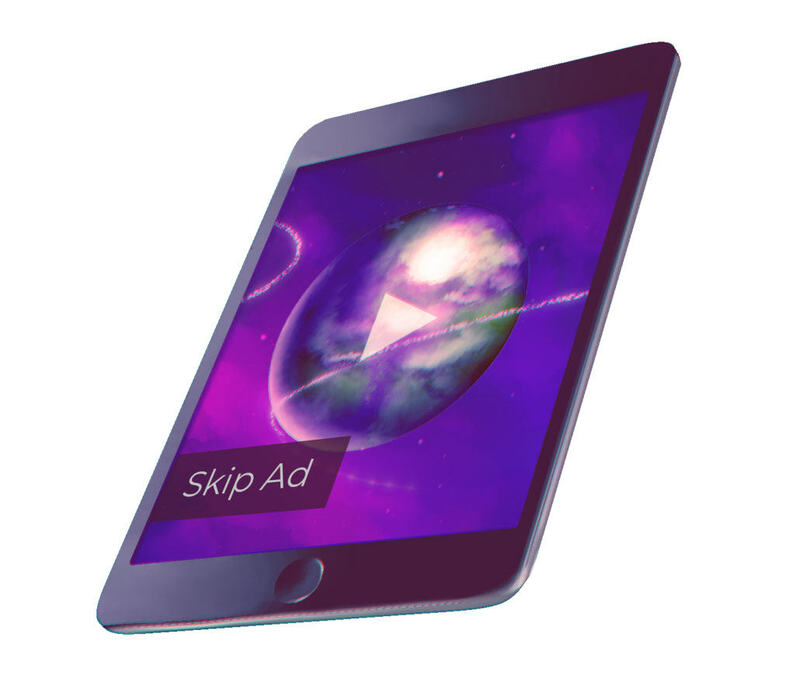 These bite-sized ads must be shorter than six seconds long and are designed to deliver a quick, non-skippable message using a cost-per-impression (CPM) pricing model. This CPM pricing means that advertisers can deliver more impressions at a lower cost. Of course, it’s not enough to simply deliver impressions. Each impression should pack a punch that makes the viewer want to seek out more info. Effective bumper ads should include features and benefits of products and services in rich, visually stimulating video. Bright colors, off-the-wall actors, and fast motion are some of the tactics used in bumper ads that can leave users wanting more. Bumper ads don’t have to answer a question or completely sell a product or service in six seconds – they can also be left open-ended. The curiosity from a cliffhanger ad ending alone can lead viewers back to a brand’s website or social media page to learn more. No matter the marketing strategy used to create bumper ads, once a viewer sees an ad, he or she is now aware of your brand and its that awareness that can lead to conversions. The CPM model for bumper ads is a great option for low budget advertisers. It ensures that your brand will reach a wide audience with a memorable message. Since advertisers pay based on cost-per-thousand-impressions, it’s easier for your brand to reach more potential customers and increase awareness about your brand. Bumper ads can act as a wide net and reach many audiences, or it can have more specific targeting which can narrowly (but more effectively) reach the right audience. Some great options for bumper ads include the ability to serve ads on specific channels as well as videos about certain topics. Imagine you’re a marketer for a travel agency. You might choose to place your bumper ads on specific channels that are related to travel vloggers with large followings, which would ensure relativity. With the ability to include specific channels and topics, AdWords also allows you to exclude content such as sexually suggestive content, sensitive social issues, profanity, and rough language. This can ensure that your ads are not associated with content that your brand does not identify with. YouTube bumper ads offer a cost-effective option for advertisers who want the biggest bang for their buck. With an effective six-second video ad, your brand can see remarkable results at a fraction of traditional marketing cost. Learn from Google how to set up your own bumper ad campaigns, or just relax and let our paid search team take care of everything! This post was originally published in early 2017, but we’ve updated it with new information to reflect current trends in ecommerce user experience design. Designing an ecommerce user experience that pleases the customer is hard. Besides creating a gratifying ecommerce layout design, you need to craft a seamless experience from landing page to purchase. We’ve created a list some of the common failings ecommerce sites fall into–and your site should attempt to avoid. By focusing on your ecommerce UX and avoiding these pitfalls, you can succeed. Website users want straightforward information. They want sufficient details that explain what your product is and how it can help them. Your ecommerce site should have multiple pictures of each of your products from various angles, presented excitingly. Don’t use stock images either; customers prefer images you’ve created or photographs that were taken expressly for your product. Follow this advice, and you can be successful on your site, and have images ready for Google’s Shopping Platform, newsletters, and more. It’s impossible to ignore mobile–it’s growing and becoming a larger segment of ecommerce activity each year. People shop from their phones and tablets a significant amount of the time, especially around the holidays. Your ecommerce website should be responsive and easy-to-use on mobile, with large buttons and a simple checkout process. Developing your site for mobile can lead to increased conversions and draw in new customers. A quick check out process is integral to the success of your ecommerce site. If your check out takes too long and isn’t smooth, it can dissuade buyers and lead to abandoned carts. A one-page checkout, with multiple options for payment–including the option to sign in with Google, Amazon, or PayPal can increase your conversion–and success. You hopefully already have a site search function for your ecommerce site–but how well does it work? It should include filters and advanced functionality to help your customers find what they need. Give them options to search by category or feature. Purchasing and enabling quality software will make the search process easy and functional for your customers. This piece of advice is simple–don’t hide your contact information. You should provide multiple forms of communication: phone, email, chat; the best methods for your ecommerce website. The more expensive the products you’re selling, the more easily reachable you should be. Place this information prominently in your header or footer and include easy links to a contact us page. To create a successful ecommerce site, you need to engage your buyers. That means creating exciting content for them to watch or read, including videos, infographics, case studies, and original information about your products. Your content should enhance the user experience, explain your products, and reinforce why your company is the right choice for the customer. Social media is a vital aspect of ecommerce and ignoring it can be the downfall of any ecommerce site. A successful ecommerce site allows customers to share items they wish to or have purchased. Social sharing can result in additional conversions, and by making this process easy, you can increase your web presence as well. Creating a seamless user experience for your ecommerce customers is one of the keys to your success. Avoiding these pitfalls and focusing on ecommerce UX design will ensure your product shines and customers return to your site and recommend you to others. By following these ecommerce UX best practices, you can see increased conversions and higher revenue over time. If you’re looking for some help with the user experience on your ecommerce site, Leverage is here to help you. We have experience working with ecommerce businesses and can tailor an approach to your company. Contact us today to learn more about our services and how we can help you. Growing a customer base through SEO can be a time-intensive process. To see great results, you’ll need to seize every opportunity to create growth. Amplifying the growth of an SEO campaign is all about finding strategies that appeal to both your customers and the search engines – which is why video marketing and SEO are an ideal combination for growing your audience and keeping readers on your site. Sound appealing? 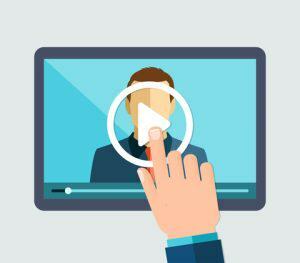 Check out our top three reasons why your site should start incorporating SEO video marketing. Did you know that YouTube is the #2 search engine in the world? It’s used more heavily than Bing and Yahoo combined. That is some pretty solid evidence that people like to watch videos. Video is a highly-accessible medium through which to communicate ideas to pretty much any demographic or target audience. Adding videos to your site offers an easy way to keep users entertained and captivated by your site. The most important result that can occur from engaging your site visitors with helpful, interesting video content? Conversions. SEO video marketing can grow conversions significantly. Including video in an email marketing campaign has grown leads from email subscribers by 51%, and including video on a landing page can increase conversion by 80%. The ultimate goal of any SEO campaign is to keep growing conversions and gaining qualified leads, so you’re missing a huge opportunity to boost conversion rates if you’re not considering video SEO efforts. To see long-term results from your SEO efforts, you’ll want to keep growing your brand and establishing your site as a trusted corner of the internet. By creating SEO-optimized video content, you can help your site become a thought leader in its niche by answering common questions and providing information about products, the industry, or services via videos. It also provides a way to reach out to busy searchers looking for straightforward info. One simple way to begin achieving this kind of thought leadership is to create a basic explainer video or two – check out our guide to making your own explainer video here. Building out SEO-optimized video content that can be found on search engines such as YouTube as well as your site is a way to round out your reputation across the web and drive traffic back to your site. You’re also increasing your brand’s visibility by growing the number of places and ways that potential customers can find you. And best of all, sending more traffic to your pages will help your site achieve better overall positions on search engine results pages in the long run. Finally, don’t discount the power of SEO video marketing to differentiate your brand in a positive way. For example, ecommerce businesses have begun to use video to better display their products, and service businesses can capture glowing customer testimonials in video form. Seemingly small details like this help encourage potential customers to choose you when making a decision. Check out our list of out-of-the-box ways to differentiate your site and grow your web presence. Chances are, your competition is implementing some sort of SEO efforts as well. You’re competing for the same or similar search queries, and competition can get tight. Video can give you an edge on the search results page. Video content now appears on search result pages with written content. This is especially true for “how-to” and informational search queries. Rather than writing another blog post or infographic, why not try getting some of that valuable visual real estate on the top of the search results page? Don’t let your industry or subject matter deter you from delving into video. As the example snippet above shows, people are looking for answers on even seemingly mundane topics. Don’t let your competitors grab this opportunity first – start pursuing video marketing for SEO now. Still have doubts about implementing SEO video marketing? Consult the video marketing pros at Leverage. We’ll help you choose the right video strategy and integrate SEO best practices to give your site a boost. In the meantime, sign up for the Leverage newsletter today for more free digital marketing pointers and factoids. Losing a site’s hard-earned SEO value after switching domains is an all-too-common problem for inexperienced online marketers. Dan Valle explains the importance of transferring all the value that you’ve built up over time to your new website so you don’t lose search engine rankings and, ultimately, traffic. Learn what to consider before transitioning and hear why Dan recommends using a staging website.